Diane’s advice on what to do about the biggest challenge she hears from entrepreneurs. Having a weekend list and a wants list. Why she is called the hypnotic Amazon Copywriter and the wolf of Amazon. Steve: You are listening to Episode Number 80 of the Awesomers.com podcast series. All you have to do is pop on over to Awesomers.com/80 to find today's show notes and details. Now, just as a quick check-in, when I did my first show about 80 days ago, I said I would do 180 episodes every single day to be sure that we gave the Awesomers and the entrepreneurs out in the world something to listen to every single day. We do this free of charge as you know and it's something that we have a high amount of passion in. Recently, in the last week or so we've pivoted into the shorter episodes to try to make sure that we match the factory production schedule with the consumption rate, the consumption rate to say it more properly of our audience and our point is to try to match your needs with our output as opposed to over-delivering every single day where people were getting behind in listening to current episodes. Now, I hope that this has been useful to you and we certainly welcome your feedback. All you have to do is go to Awesomers.com/contacts to leave a bit of that feedback. Now, I want to remind you that this is part two of a three-part series with Diane Boerstler today. We dive a little bit more into her background and we talk more about some of the common mistakes and some of the common challenges faced by E-commerce entrepreneurs and really anyone who's trying to build a business. Messaging and copywriting and defining what you do and why you do it is so much easier when you have experts to help you along the way and Diane certainly is an expert that can help each of us. Let's dive in and listen to today's episode right now. Let me ask you again. So, I love some of these defining moments these are very important. Is there a big lesson that you've taken away from kind of all of this stuff put together? Diane: Yes. Anybody can do this. I mean it's honestly just anybody can do this. You just need to reach out to the experts and like I’m saying paying your experts. The scariest thing I see Amazon or E-com sellers do is waiting and failing for two years before they – and they're completely broke before they're even willing to reach out and ask a question. It's like they think they're supposed to know it all right away just because they took a training program and that's not true at least in my personal pain that's not true. So, I find people who are already failing, they come to me, they're like this “I only have $100 left in my bank account. I have to feed my kids. I don't know what to do.” You know, it's like okay I wish that people knew that people who become experts like I did and like other people in our you know E-com space especially the ones who are mindset-based we did that so people feel comfortable reaching out and getting help. We didn't do it just to grow a seven-figure business. And so I really think that that's the biggest thing that has come away it, from this is I think people need to be more willing to reach out and actually ask for help you know. It's amazing what people do every day. I had tons of people who were I call them friends instead of clients because they don't pay me and they get stuck you know and they just need somebody to talk to and they email me and I give them the answers and they implement and you know as long as they're not – my only pet peeve is that people come to me and they say “Well this isn't working and this isn’t working, this isn't working” and then they come back they're like “It's not working” and I’d say “Did you implement it?” And they didn’t. I have to learn that the big lesson has been that there are a lot of people like that, about I would say you know statistically 96 to 98% of people on the planet they want the easy fix. They don't want to put the effort in on both the mindset side and the you know entrepreneurial like who cares if you fail, just put that one foot in front of the other you'll fail forward right. Steve: Yes. It is really honestly. You said earlier and I'm paraphrasing here, but basically anyone can do it, but the little asterisk is anyone who actually does all the work and is willing to put in the time and energy and so on and so forth right because anyone can do it, but you're going to – it's going to take work. This is not just some you know you don’t click some box on an internet form and money starts getting transferred to your account. It's actual work. Diane: No, it is actual – and it's actual learning, just be open to learning and the biggest thing is you have to be willing to give things up. So, for example, everybody you know who complains about this. I'm like okay, so like I don't have time, I don't have time, that's the biggest one. As a mom of four with kids and tons of activities, I'm an elected official, I am the president of PTSA and I volunteer an additional 10 to 20 hours a week, okay. I know what not having time means, but I couldn't do that before because instead of doing all those things and especially instead of sitting down and watching Netflix or TV, I said, “You know what, someday I will have the freedom to do that, but right now I have the freedom to create a life that's worthy of my family” right, so you have to stop and look at every single minute of your day and say “Yes, that's enjoyable, but right now I can't do that.” And sometimes that means sitting – like not being able to watch movies with your kids and it's really hard. Sometimes that means saying no to social events and it's really hard you know. Sometimes that means saying you know we can't go do these 20 other things you guys want to do. I love you so much. In our house, we have this thing called a weekend list and a want list. So, the kids know that we are extremely busy during the week and we're at their practices and we're at their games and we're at their plays. Like my daughter just had her debut performance singing I think it was Wolves by Selena Gomez and she rocked it, but I couldn't go to all of her practices right. So, we have this weekend list and this wants list and so when they want something, they don't ask us during the week unless it's something they need. They put it on their wants list. They also have their weekend list. If they want to do something, they put it on their weekend list. That way it stops them from feeling like they're – first of all, it puts them in a flow like okay, so we're going to have time to discuss this you will be hurt right. Second of all, it stops them from constantly interrupting like can we go to the park, can we go to the – you know, can we go hiking, can we go – and it allows Phillip and I, my husband to get done what we need to do and they're also learning to be entrepreneurs by that. I’d say okay, it's okay to have these wants, but there's delayed gratification. So, let's get done what we need to get done first and not watch the movies and not you know everything else you could possibly be doing on your you know going outside and do whatever you’re doing and we'll build that into the future by organizing what we're doing now based on the goals we want to achieve. And I know that sounds harsh to some people who just really work really hard and just want to come home and watch TV, but that's honestly that's four to eight hours of your night that you can literally build your business right. Diane: Even if you have like I listen to podcast while I'm making dinner. Okay, I don't have a chef, but Phillip listens to podcast while he's doing the dishes right so or he listens to you know webinars or whatever. Like we have that built in and our kids will listen with us and so they ask questions and now they write down the questions instead at least the oldest ones do so. Steve: It is really smart. You know too often people forget again that the inputs lead to the outputs or whatever you put into the machine is what you're going to get out and you know there is no easy, but there is no you know crazy Bitcoin going to get you rich you know tomorrow, so why don’t you saddle up to work. Diane: Oh yes, I had time like that. Steve: Yes. I can't wait to dive into that. we're going to do it right after this break. Hey Amazon Marketplace professionals! Congratulations on your success today. Your creativity, strategic vision, problem-solving and discipline have allowed you to build your own E-commerce business. Wouldn't it be great if you had more time to focus on the things that truly drive the sales and growth of your company instead of getting lost in a dozen different services and countless spreadsheets? What if there was one system that connected to your Amazon account that automatically gave you the information that you needed to make great decisions and really impact your business. Parsimony ERP can do that. Parsimony is the business operating system for your marketplace business. With Parsimony you get true double entry bookkeeping, easy financial statements, full customer service tools and item-by-item profitability along with project and task management and more features are being added all the time. Learn more at Parsimony.com, that's Parsimony P-A-R-S-I-M-O-N-Y.COM. Parsimony.com, we've got that. You’re listening to the Awesomers podcast. 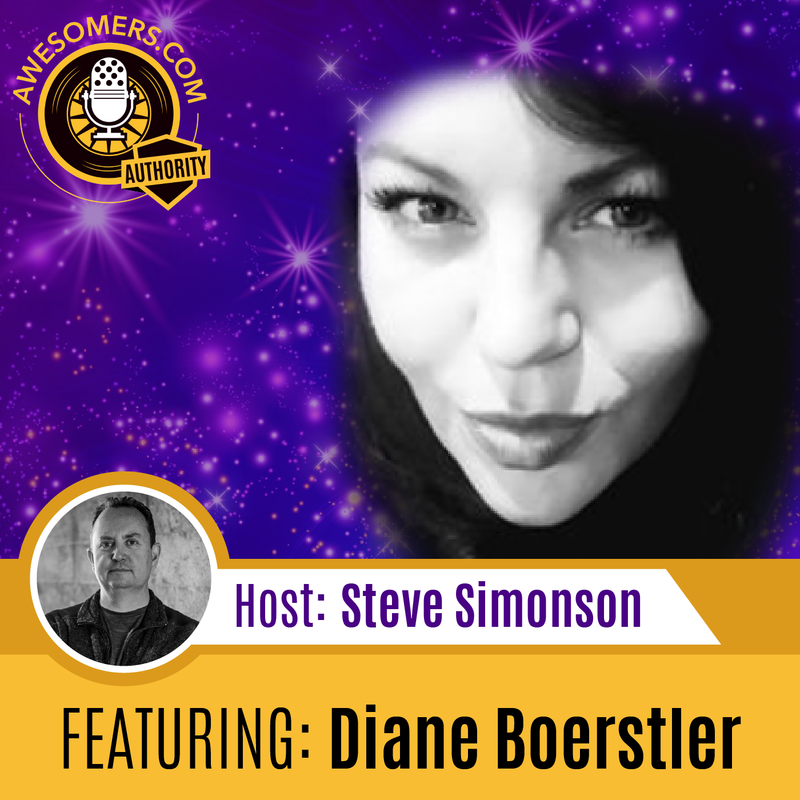 Steve: Hey, everybody we're back again and Diane Boerstler joins me on the Awesomers podcast and just before the break I teased this idea of you know is there ever a time in your you know kind of business that you looked at it and all this work and you said you know gosh, I want to just, I just want to put this aside and go back to an office or 9-to-5 kind of thing because this is just too hard. Diane: Absolutely, actually but there's kind of a preface to this. So, after I had my daughter and she's four months early, I didn't have any leaves so I had to go back to work five days after I have her. I thought that having a business I was so excited, I was going to solve the problem with my son, it didn't. After I delivered Tucker, he was in the NICU, but I had to I literally delivered him. He went to the NICU in that like the ten rooms over and I literally had to open up my laptop and start working. Diane: And it's that – yes and I said this is really not worth it. And I was like this is – I mean I was literally sobbing because I was a mom again, I was again not with my child, I mean it was actually crazy, but you know then with Liliana it was the exact same thing. My third child, she would come three years later. We had decided we were going to expand our business and my husband was trying a different kind of business and he's going through a crunch and he and my mother-in-law caught pneumonia. And so I came home from the hospital going on at 24 hours after having her and had to not only get to work, but take care of two other small children and two adults. And that was another time that I said there's too much going on, this is worth it. You know, when we wanted to – there's been times when we wanted to buy a house, we now own a house, but it took us years to get there because it's really hard to get a house as an entrepreneur and your only income is coming from your business. So, it's 100% – it's solely based on what you do in your taxes unless you understand stated income. You have a really good credit score. You know, you have a lot of reserves. It's really complicated and there were several times when we were looking for a home and trying to secure our home where I said this is not worth it and I just kept going anyway. You know, it's okay to stop for a second and have a pity party. It really is. I mean no one is perfect. No one is like rah rah all the time. Maybe Tony Robbins is, I don't know, but I'm not perfect you know. But I mean having to go back to immediately after delivering a baby, I'm going to go back to work you know 48+ hours a week. That's really challenging, not being able to buy a home security for your children because you didn't understand that you should do your taxes one way and not the other. That's devastating. It took us an additional two plus years of having to work in our business and do our taxes differently, not that we're doing them illegally. We just put the write-offs in one place instead of another place right. I mean that was devastating. There were times I just wanted to give up and go back and get a job. I got offered – and then there are other times where I get offered jobs that you know pay a lot of money that seem like it's going to be less stressful. So, I got offered a job as an executive over at T-Mobile in Bellevue and I was like this looks like a really good job, I really want to do this, you know the pay was exceptional and I wasn't making as much as I'm making now in my business, this is a couple years ago and I just felt like I just I almost said okay you know what I'm turning in my business hat. I'm going to go work for T-Mobile and have steady benefits and have regular hours and have paid time off. What does that even mean? What is paid time off? So yes, I mean and it really helped me examine, but the biggest thing was it really helped examine how my business was running and to be able to streamline things more. So, for example, now when people order something they automatically or electronically transmitted to a questionnaire that they can fill out that I receive in order with other questionnaires and you know I have like a system now. It allowed me to look and see that I was wasting time not having systems in my business. So, that was a – those are big eye openers for me, but that was also – there’s other times that I just wanted to throw in the towel and say forget this, I'm not going to – I'm not doing this anymore. I'm smart. I’ll going to go work for somebody else you know. Steve: Yes. Any of us that run on the treadmill long enough you know have to take a step back and go gosh, I'm just running and running and running and often it is the lack of systems right that deliver that predictable result. It allowed the leverage, yes. Diane: It really is. But about that is I got years and years in the business where I hadn't taken a single day off for a vacation and I was working overnight, so I could spend the day with my kids. It’s absolutely crazy and I just suddenly February a couple years ago, I just – my husband would say I lasted like I've gone crazy, I didn't. It's because if there’s anything that's not planned way in advance it's crazy. So, I was like that's it. It's midwinter break. It’s gray and gloomy here. We're going to go pack a bag and we're going to drive down to Disneyland. We're going to San Diego and we're going to go to Disneyland, like San Diego first and Disneyland. And he's like “What are you thinking?” I'm like “I don't care.” I have not had a vacation and I didn't have a vacation in college and I didn't have a vacation when I was working full time. I didn't have a vacation before that. I worked since I was 6. My first business, we didn't have enough food so I saw a neighbor struggling, getting kicked off, throwing rocks at every rock that she was mowing. My first business at the age of six was walking around picking a box and piling them up for a penny a piece to make sure my siblings got fed. Steve: It really is. It's a good time to charge your batteries and I am pro-vacation in general and I would definitely say that you know for the people out there that you know because I have worked for years in a row without taking a break or a vacation literally seven days plus and you know many many hours, that there's a time and a place for it all, but as you talked about earlier you know you want to make sure that the life is worth you know living and that you're not just you know kind of running on that treadmill forever. So, I like the fact that you're able to have that little payoff in that spontaneity and it sounds like you really enjoyed that trip down there. I'm sure that the memories made still resonate with the kids. Diane: Oh, they're incredible. Yes, they really are. The kids are talking about Disneyland every day. They still watch Disneyland, anybody on Amazon and ask us all the time because they have time of course and I pay all those shows and all other different stuff, so they watch those. When are we going back to Disneyland? I'm going to put it on your wants list you know. We have to put it on our wants list. We have to plan this stuff, mom can't just take off even though she was a complete nut job at one point I did. It's not that I didn't get my work done. It's just that I didn't accept any projects for about two weeks and that was – I mean that was enough as an entrepreneur to give anybody a panic attack. Diane: No, I can't to do this. I'm sorry. You'll have to wait four weeks, but what that did was actually start allowing me to say you know there's a waiting list, I'm bumping this out. I'm not going to – I can do this later and realize that I'm good enough at what I do that people are willing to wait you know and that really helps shift my mentality there too instead of always worried about being in famine just seeing that we really were in total abundance and we could – I could afford to stop and say my kids come first and that was a first and you know forever so. Steve: Oh, that's nice. It really does help for all of us to just check that mindset from time to time. It sounds like that was a nice check-in for you. Let's talk a little bit more just about your business in general terms. I'm taking the clues that you have an Amazon type business and I know that – my guess is that you sell physical products on one side of your business and that you help with copywriting on the other side of your business. Is that fair to say? Diane: Kind of. So, we used to do Amazon sales and then we kept running into conflicts where a customer with work lines would have a similar product and so what we decided to do at that for a point of ethics, let's just stick to the sales copy and business growth packing and so we've sold out all of our products. We did that. We sold all our products and turned it over to friends who we thought would be really interested and then moved on from that because when you have, just to clarify, when you have somebody who comes in let's say they have a supplement and you have a supplement and the same supplement, how are they going to feel if they find out you have the same supplement and they paid you to scale their business and you're their competitor. So, we realized along the way that it's probably a good idea for us to sell on Amazon or on E-com so we dissipated that and sort of focusing on actually stepping in as equity growth partners in some Amazon businesses that we're kind of really more niche and then also in some finance companies and then of course we have our hypnotic Amazon E-com company, which is NLP HypnoCopy which is where I got these two weird names. Someone called me the hypnotic Amazon copywriter that was first and then the second one was the wolf of Amazon, which I thought was hilarious. So, that's my biggest business. That's my main focus is writing hypnotic sales copy for E-commerce sellers but then also when we see something where we see that it's a great product and say it's just someone who doesn't really understand business, we’ll step in as equity growth partner a lot of time, so that's more of what we do on that side of things, you know the mindset piece. I started teaching the mindset piece because people are completely lost on that. Steve: Okay gang, as you can see Diane continues to help us understand a little bit more about her and some of the challenges that she's gone through, but also some of the breakouts that she's had. And as always, I love origin stories because they help us understand that we're not alone. The challenges that we face and the obstacles we have to overcome, that's just part of life and the more that we can share these unique and different stories from people from all over the world I think it helps Awesomers around the world in any walk of life. Again, you can be an artist, you can be a student, you can be you know a business owner, you can be a practitioner of any kind of trade and still find value. By the way, I just slam my hand on the desk to make a point. I hope you heard that. My point is this is part 2 of a three-part series with Diane Boerstler. We're going to drop some more value bombs on you tomorrow and I sure hope that you're sharing this and paying close attention. 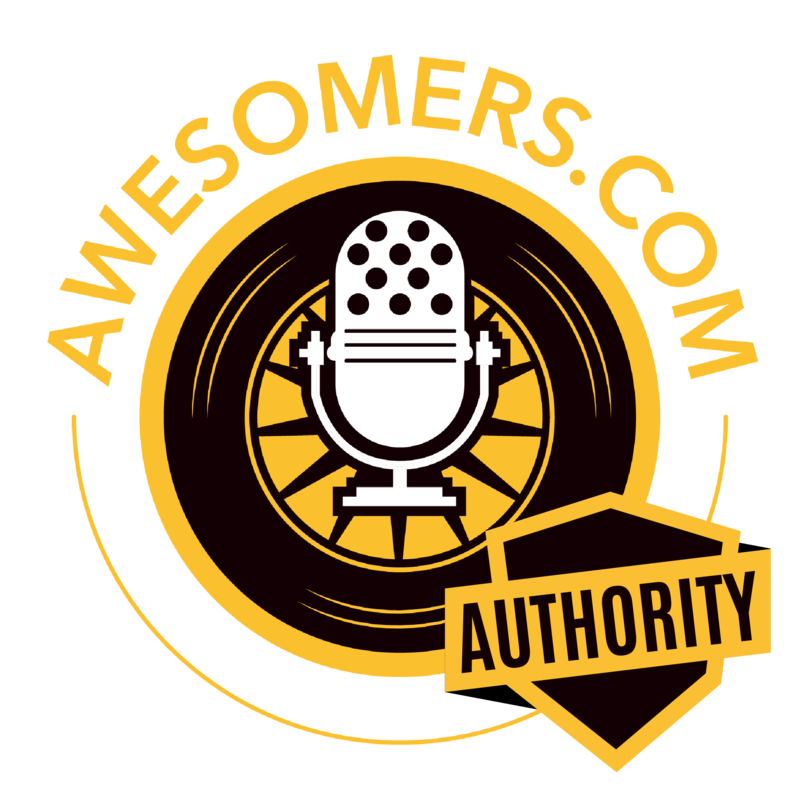 This been podcast Episode Number 80 of the Awesomers podcast series. Just go to Awesomers.com/80 to see all the little show notes and details about today's episode.